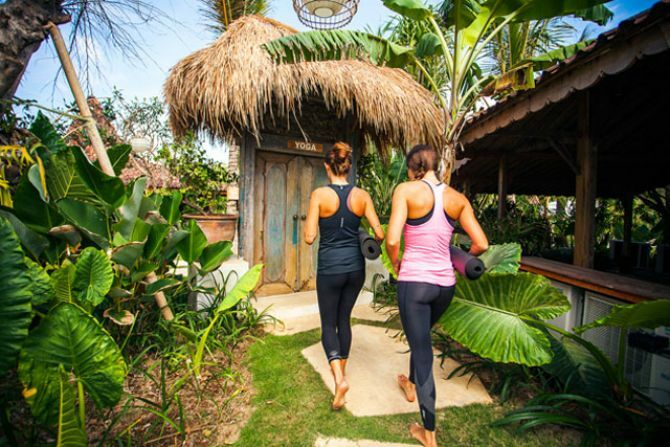 This 200 Hour Bali Yoga Teacher Training™ will be a Traveling Yoga Teacher Training that will start at Keramas Beach for 10 Days, followed by 13 Days in Ubud. At Keramas Beach we will be staying at the luxurious Komune Resort. Located right on the beach and one of the best surf breaks in Bali this location will take your breath away as you take in the natural beauty and ocean air. 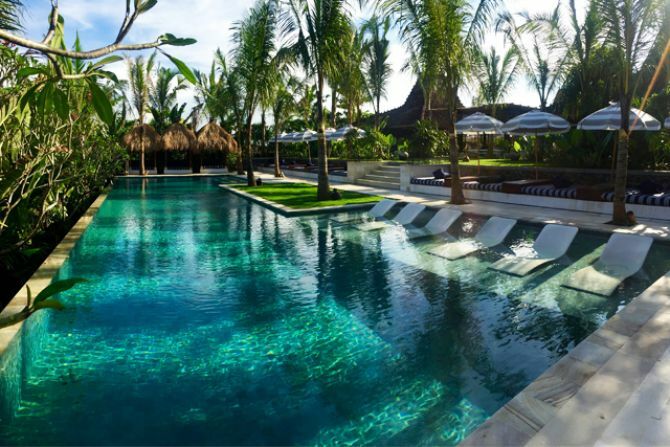 It is rated as one of the top resorts in all of Bali. In Ubud we will be staying at Naya Ubud Retreat Center where you will be right in the spiritual center of Bali. Here you will be able to fully experience the Balinese culture and spiritual energy. We will finish the training here celebrating you and all the devotion you have put into your yoga practice. This is a once in a lifetime training and trip that we hope you will join us on as you dive into your yoga practice and yourself while learning to teach yoga. This training is an all inclusive training which includes the training, accommodations, and 3 amazing meals every day. All Peak Beings’ Yoga Teacher Trainings are Yoga Alliance Certified. 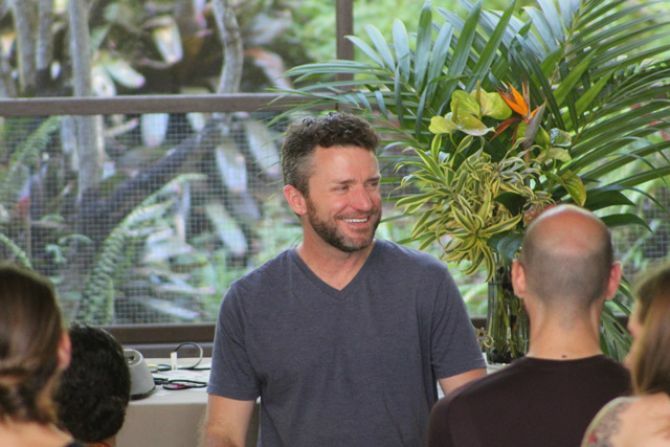 All 200 Hour Unified Yoga Teacher Trainings™ are guided by Troy McPeak, E-RYT. 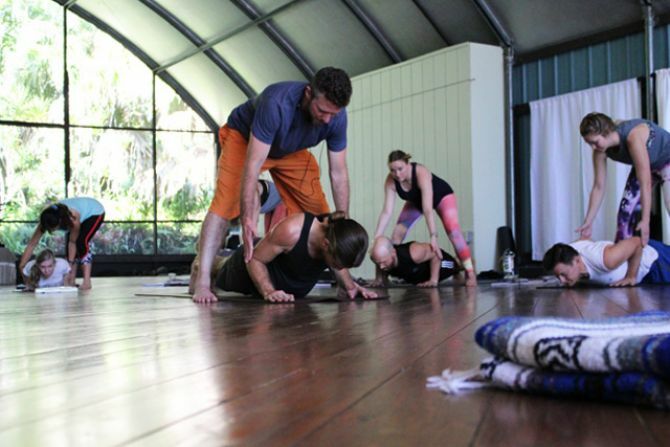 Yogi Troy has directed over 20 Yoga Teacher Trainings under the Unified Yoga philosophy. For more about Troy and the Yoga Teacher Training Assistants, please see the About Us page. Our 200 Hour Unified Yoga Teacher Training™ Curriculum exceeds the 200 Hour Standards set by Yoga Alliance. Please visit our FAQ Page or Contact Us with any questions. You can also check out Testimonials from previous students who have attended the 200 Hour Unified Yoga Teacher Trainings here – Peak Beings Yoga Testimonials. This 200 Hour Bali Yoga Teacher Training will be a Traveling Training to give you a true experience of the lsland of the Gods. We will start the journey on the coast at Keramas Beach for 10 Days and then travel to the spiritual center of Ubud for 13 Days. 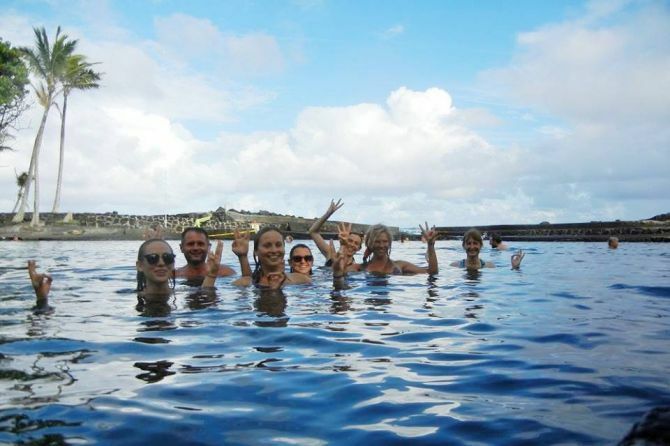 You will have an unforgettable experience and life changing spiritual journey all while diving into your yoga practice and your Self during this 25 Day Yoga Teacher Training in Bali, Indonesia. At Keramas Beach we will be staying at the luxurious Komune Resort. 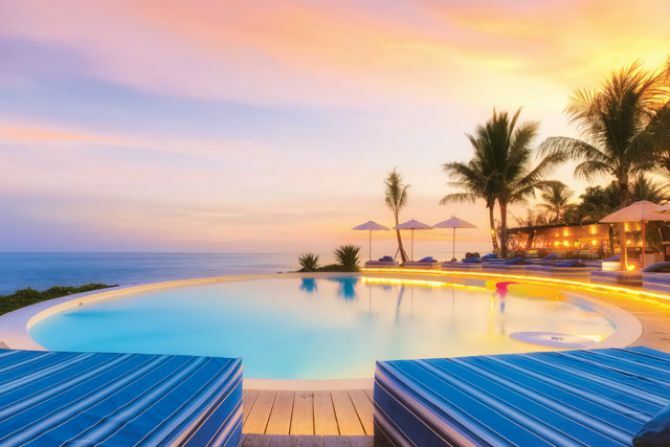 Located right on the beach and one of the best surf breaks in Bali this location will take your breath away as you take in the natural beauty and ocean air. It is rated as one of the top resorts in all of Bali. In Ubud we will be staying at Naya Ubud Retreat Center where you will be right in the spiritual center of Bali. Here you will be able to fully experience the Balinese culture and spiritual energy. We will finish the training here celebrating you and all the devotion you have put into your yoga practice. 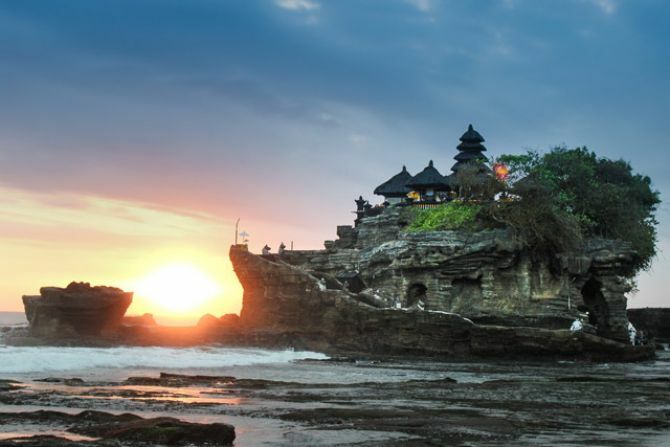 We have spent countless hours touring Bali in search of the perfect locations to give you a true sense of the beauty, spirituality and culture and we have found it in this training and these locations. We can’t wait to share them with you on your yoga journey and this epic training. 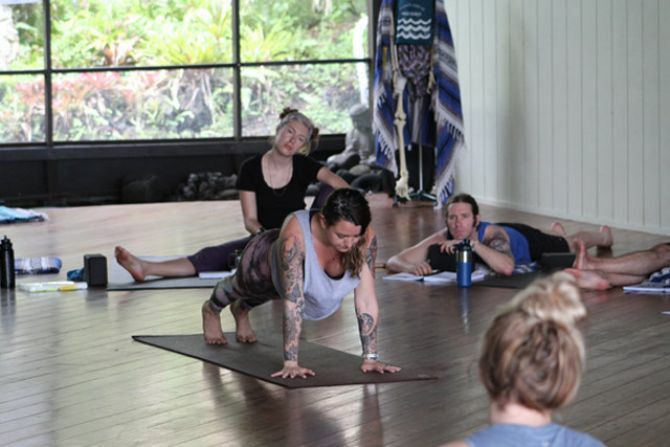 Bali Yoga Teacher Training Dates are Saturday, March 30th through Sunday, April 21st, 2019. Arrival Date to Komune Resort is Saturday, March 30th, 2019. There will be a welcome meeting at 4:30 pm. Try to arrive to Komune Resort no later than 4:00 pm. 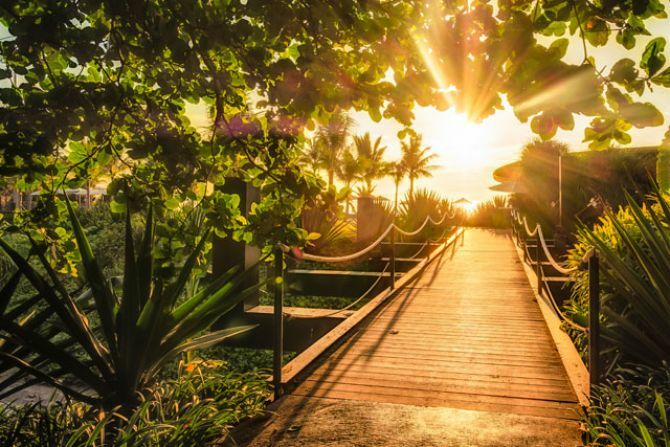 Please see our FAQ Page for transportation options for arriving to Komune Resort. Transfer Day from Komune Resort to Naya Ubud Retreat Center will happen on April 9th. On this day the schedule will be slightly different. We will have our normal morning practice, followed by breakfast and we will then take transportation (included in all training prices) to Naya Ubud Retreat Center where you will be given time to settle into your new accommodation, have lunch and then we will continue with our afternoon schedule. Departure Date from Naya Ubud Retreat Center is Sunday, April 21, 2019. Graduation will be on the evening of Saturday, April 20th and departure will be on the morning of Sunday, April 21st. Please see our FAQ Page for transportation options for leaving from Komune Resort. 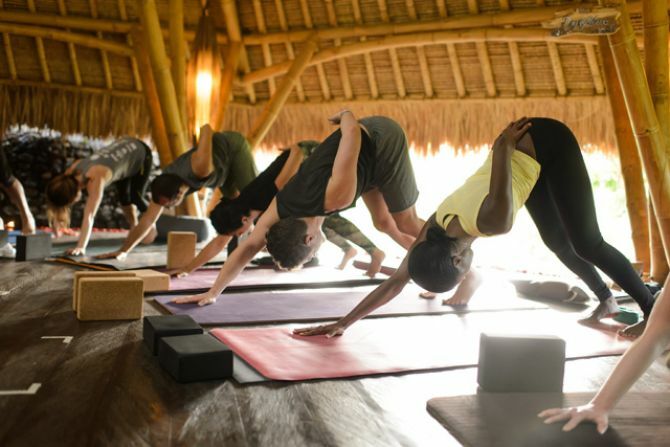 The Bali Yoga Teacher Training on-site prices include the training and all materials, accommodations and 3 amazing meals each day in the beautiful open-air restaurant. Tea, coffee, filtered water, and fruit are also available throughout the day for free. A listing of the types of accommodations and prices are listed below. You can check out the descriptions and photos of the accommodations on Naya Ubud Retreat Center and Komune Resort’s websites. (Prices are in U.S. Dollars and include all Balinese taxes). Resort Rooms: The room layout varies by resort, but the accommodations and locations are stunning and you will love your home away from home. All rooms have private baths, serene and quiet surroundings and are located within 1-2 minutes walk to the group yoga space. Prices listed below include the training and all materials, accommodations, and 3 meals daily. Bali Residents: If you are already living in Bali and would like to commute to the training, we offer a Resident Price of $2,895. This price includes the training and all materials, use of on-site facilities, plus 3 Amazing Meals every day in the beautiful open-air restaurant. Any applicable Early Registration Discounts with Full Payment will be deducted from the Full Prices below when you click the “Register Here” button. If you only want to make the $500 Deposit at this time, click the “Register Here” button, select your accommodation type and at the bottom of the page select to “Pay $500 Deposit Only”. Accommodation types are limited and will be confirmed with your $500 Deposit which is applied toward the Total Price. Payment plans are available. 50% Payment is due 60 days before the start of the training and Full Payment is due 30 days prior to the start of the training. $500 deposits are non-refundable, but may be be transferred to another training or retreat. Exploring yoga from Eastern and Western Views and keeping a ‘Real’ perspective. 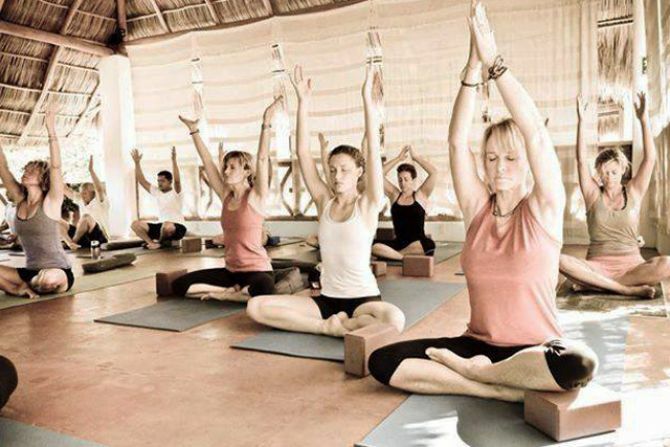 This once in a lifetime 200 Hour Bali Yoga Teacher Training will be a Traveling Training to give you a true experience of Bali, the Island of the Gods. We will start this training at the breathtaking Keramas Beach where we will stay for 10 Days, followed by 13 Days in the spiritual center of Ubud. You will have an unforgettable experience and life changing spiritual journey all while diving into your Yoga Practice and your Self during this 23 Day Yoga Teacher Training in Bali, Indonesia. 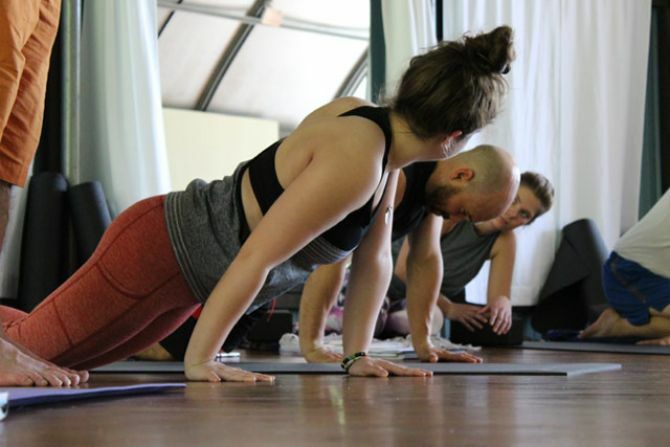 This Bali Yoga Teacher Training exceeds the Yoga Alliance Standards and you will leave this Training with newly acquired confidence in yourself and your teaching. Whether you are looking to share your passion for yoga through teaching or just want to dive into your yoga practice and learn more about topics that are not covered in regular yoga classes, we strive to create an environment for all levels and all interests. We will cover the details of asanas (postures) as well as dive into the other amazing things Yoga has to offer like philosophy, self development, meditation, anatomy, etc. The experiences you will encounter during this training will also give you the chance to learn how to fully unify the different layers (koshas) of yourself and others. 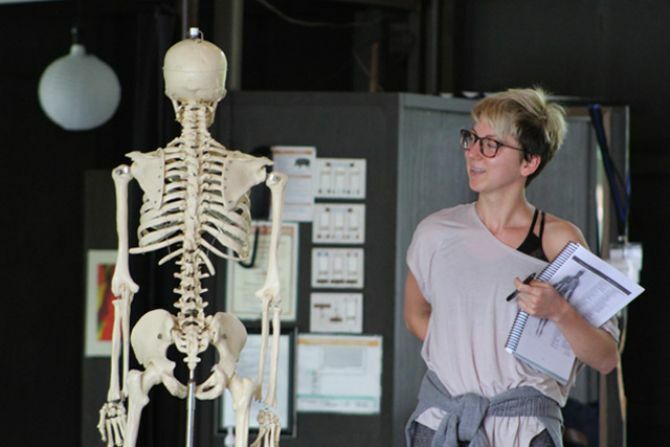 Certification through our Unified Yoga Teacher Training will allow you to evolve your yoga practice and teaching as you change and as yoga styles continue to develop. Here is a quick video to give you an idea of just one of the amazing locations we will be visiting during the Bali Yoga Teacher Trainings. Accommodation types are limited. Please confirm your accommodation type as early as possible. Payment Plans are available. A $500 Deposit reserves your space in the training. 50% Payment is due 60 days before the start of the training and Full Payment is due 30 days prior to the start of the training. $500 deposits are non-refundable, but may be transferred to another upcoming training. Financial Assistance: A limited number of Financial Aid Awards are available for this Teacher Training for students who require financial assistance to attend the training. Please Contact Us to receive an application.